In order to ensure that you get the best products and services, Hicks Landscape uses commercial-grade irrigation systems, such as Hunter and Rainbird. Our irrigation systems are superior quality and engineered to last the lifetime of your house under normal conditions and provide total coverage of all turf and plant areas on your property. Hicks Landscape is also experienced in repairing irrigation systems, even if they were not originally installed by us. Most minor problems can be quickly corrected, or can have equipment replaced, however seriously damaged systems may require a complete overhaul. Consult the client to ensure an exact understanding of the project goals and objectives. Offer options customized for the client’s individual needs and desires. Present customer with list of services to be provided, including itemized costs and descriptions of each irrigation service and product. Set a date, and begin working to install, renovate, and otherwise update your new irrigation system. At Hicks Landscape, we take every step to ensure that we bring your vision to life. 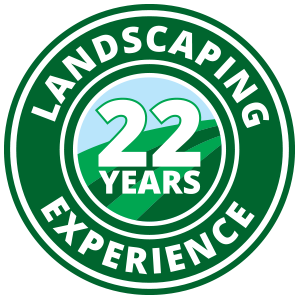 Contact Hicks Landscape today to schedule your free on-site irrigation system consultation. The biggest thing about working with Hicks is that at the end of the day, you’re working with people that actually care, and will take the time to make sure it’s quality work done. And if that’s what you’re looking for, then that’s what you’ll get with them. Tracie and Scott, the owners of Hicks, made themselves readily available to me and walked me through the process of understanding what I needed, how much it would cost and how much it would take. I have been receiving services from Hicks Landscaping now for a number of years. My experience has been excellent. Your staff goes beyond the scope of what they are suppose to do to provide satisfaction. I especially want to recognize Tracy for always finding solutions to my landscaping requests and problems. They respond in a timely fashion and they are right on it when ever I have called with a problem. I think credit goes to Tracy for ensuring customer needs are met immediately. I can’t imagine going to another company for my landscaping needs. You guys are the best. Thank You! We could not be happier with Hicks! Tracie, Scott and the entire crew are always wonderful to work with. We have returned to Hicks time and time again for all of our yard improvements. Because of Hicks, we have one of the best yards on the block. Full irrigation and over 25 trees and shrubs went in without a hitch… and we already have them scheduled to add some more! We highly recommend the team for your next outdoor improvements… make your yard a Hicks yard!! Scott and his crew installed Easyturf for us. Scott personally supervised the job and it went off without a hitch. The Turf is awesome, the kids are out on it all day! From start to finish, everyone I spoke to and worked with from Hicks Landscaping did a fantastic job. I felt at ease throughout the entire process. My yard went through a complete transformation, 1 of their crews worked the entire day, from sun up to sun down and they all worked very hard. The team kept me up to date throughout the entire process and whenever I had questions for them, they were always very responsive and had the answer. The owners followed up with me afterwards to see how everything went, which shows me how much they care. I would definitely recommend Hicks Landscaping to anyone in the Raleigh area. Thank you Hicks!